In preparations for the upcoming ROAR 1/10 Nationals, I’ve been spending many hours at the track fine tuning my rides. As most of you know, I’m very comfortable with my cars and setups on outdoor tracks, but I’m still searching a little on indoor tracks. I’m getting better and better and I feel I’m getting pretty close. 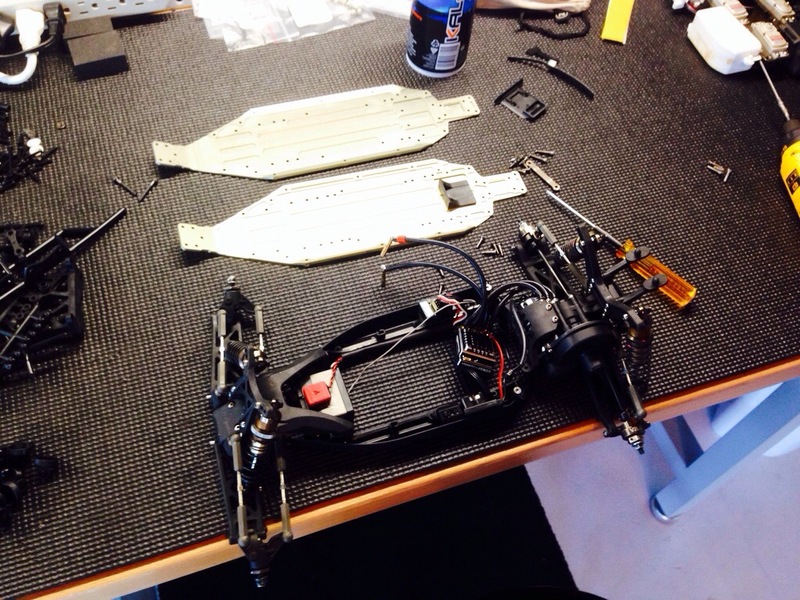 This morning I swapped over my RB6 chassis to the newer light weight chassis. I did it mainly for the added holes added to move my battery around more. I will be doing more running tomorrow and putting all my final changes to the test. Can’t wait for the Nationals!!!! ← Can you hear it? Measure 17.8mm from the center of the sway bar hole and drill that new inner hole man. Cody and Colin tried it at OCRC yesterday and really liked it. Looking forward to seeing here in Florida. Going to be a fun race. Oh there’s also a stock chassis that has the same mounting holes found on the light one. It became a running change to it. I run one in my car with the battery mounted all the way back using the riser. Space Coast maybe indoors but it is run dry like an outdoor track. That is unless something changed since April of this year. I agree. It is inside but it’s unlike most indoor tracks across the US. It’s big, bumpy and usually dry.